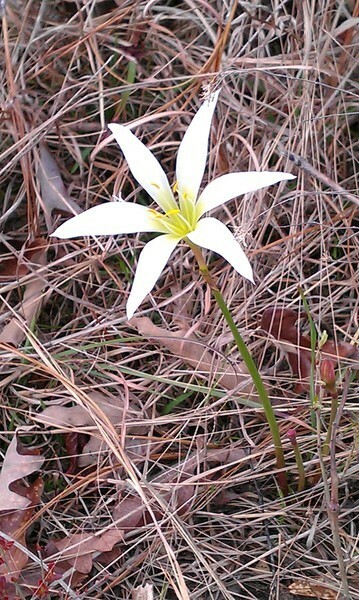 The first rain lily I saw this year. Picture by John S. Quarterman at Okra Paradise Farms, Lowndes County, Georgia, 6 March 2012. A small lily that grows only in counties along the Georgia-Florida border, and maybe in a few in Alabama: Treat's Rain Lily, Zephyranthes atamasca var. treateiae. These days it's classified as an amaryllis.